How to Make Chinese Noodle Boxes? Chinese noodles have become one of the most loved main course cooked food in many parts of the world. Many traditions might eat these almost tasteless thin and very long sting shaped Chinese treats in their own way by topping them up with flavorings and add-ons of their own preferences and choices, however, the main principal and ingredient set remains pretty much the same. These are usually made from wheat flour, rice flour or at times mung bean starch while the wheat flour made Chinese noodles are mostly consumed in the northern part of China and rice flour made ones in southern China. The wheat flour noodles generally get egg, cereal and lye also added to the list of ingredients to add a bit of color and flavor. However, the raw noodles are generally tasteless and are almost never consumed on their own. A bit of flavoring mixture or very thin flavored soup is almost always added to the noodles along with bits of chicken, meat or vegetables to make it even more enjoyable. They have to be liquid and leak-proof not allowing external liquids to mix in and definitely not letting any of the moist flavorings to escape through. Their compactness and lightweight profile is a major concern, make them too heavy or too chunky and they defeat their own purpose. They have to look food appropriate and when selling noodles commercially in them, they have to advertise the food brand efficiently. They have to be able to keep the noodles warm and fresh for the longest time possible. They should be easy to carry with a hook or handle on top. 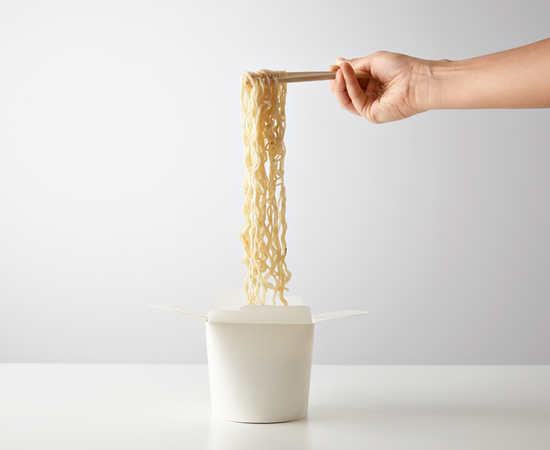 Their durability is also one of the most sensitive quality deciding factors, noodles are very delicate and must be provided adequate protection by the packaging boxes that don’t let even higher amounts of pressures to damage them at all. Their inner lining must be of a hot food friendly material and must not contaminate the hot prepared noodles at all. Pair of scissors or craft knife. Empty ballpoint or more preferably bone folder. Optional decorative wrapping paper or stickers. Print this noodle box pattern and print it on your cardstock on its inner side. Glue your decorative wrapping paper on the top layer of the cardstock to make it look better and more attractive and paste all your stickers on top if you have any in the right places. Next you will require to cut the card stock using the pair of scissors or the craft knife. Make the cuts as smooth and accurate as you can, they will play a very important part in the formation of the box. The bigger cuts are the box sides and to smaller ones are the top and bottom. Use the craft knife to cut the slit that is marked on the lid flap. Make sure to do this with the craft knife for accuracy. Now you will be scoring the folding lines, make sure to use the empty ballpoint pen or the bone folder and run it along the line of the sides to fold smoothly and accurately. Fold the lines that you have already scored making sharp creases by running the thumbnail down the length of the fold and pressing down hard. Glue the sides of the box on the inside and place the glued edges in place to form the box. The given template has all the cutting, scoring and glue lines mentioned on it in different colors. Make sure to put some pressure on the glued side for a short while for the glue to do its work properly. Set the box on the side for the glue to set in properly and let it dry off completely. 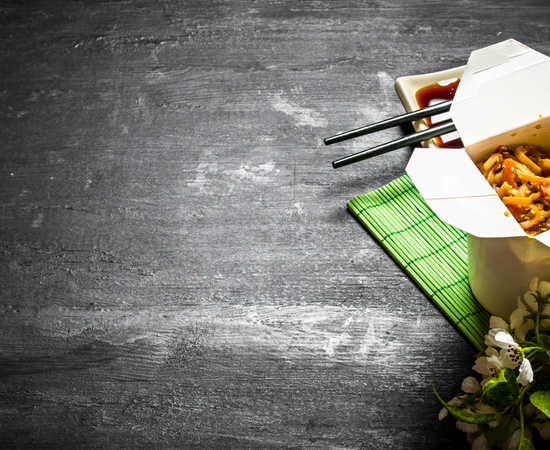 Use any additional ribbons that you have and if you plan to package prepared noodles in them with liquid or humid flavorings, make sure to line the inside of the box with cellophane or foil before you start cutting and scoring.